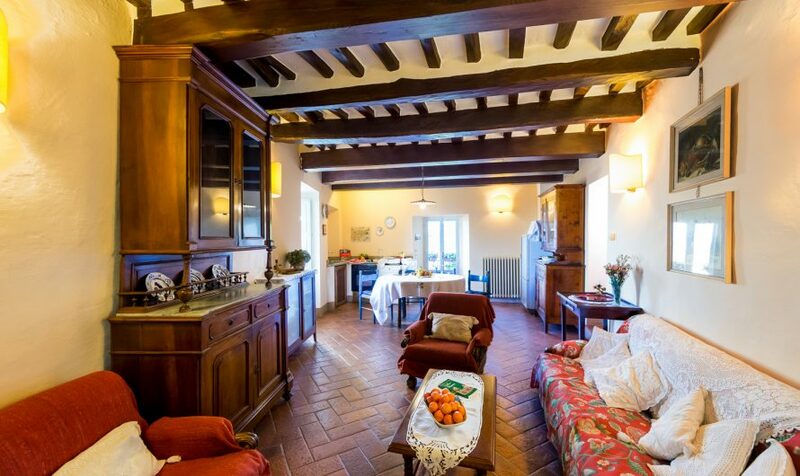 With frescoes, beamed ceilings, two beautiful gardens and a panoramic view, Casa Ombretta is a unique property in Cortona. 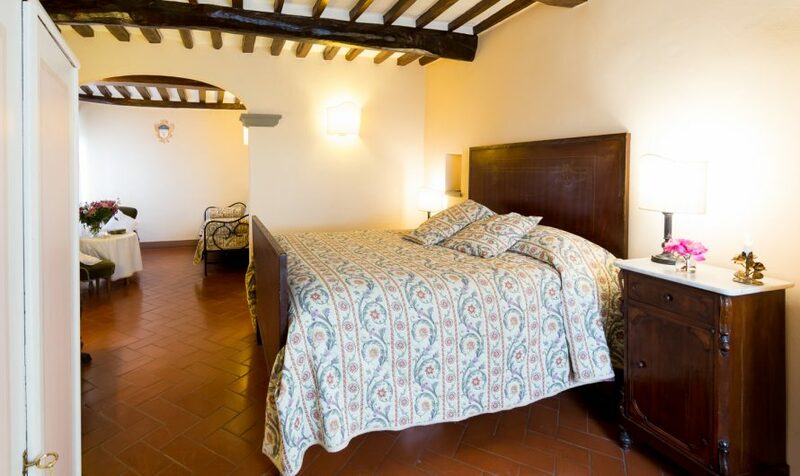 An ideal base for groups exploring Tuscany and central Italy, with plenty of bedrooms and space where to relax. 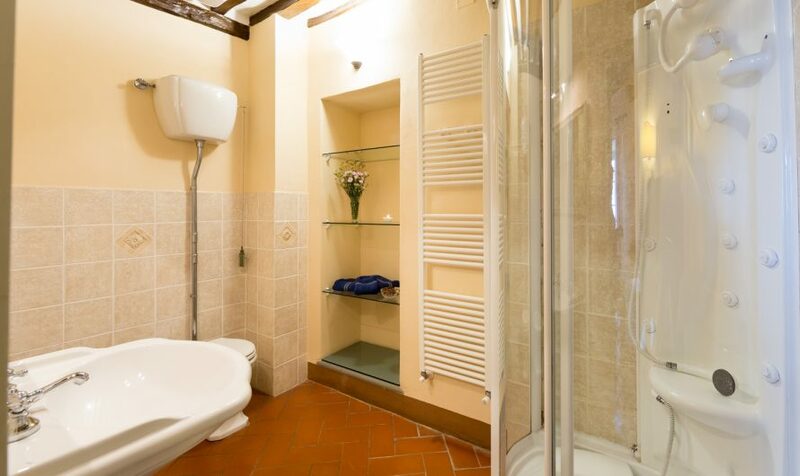 Casa Ombretta is split into 3 levels and comes with a private 500-sqm garden (entirely fenced). 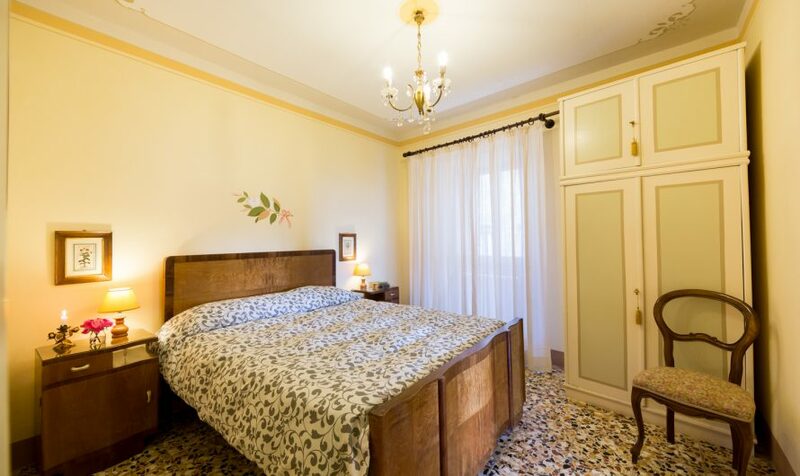 Tastefully furnished in charming Tuscan-style and antiques, it is ones of Cortona’s oldest houses and has been expertly restored just a few years ago. The ground-floor entrance welcomes guests into a foyer with an original fireplace from the 1300s. An internal staircase leads to the first floor, where an open-plan space includes the spacious living room, the dining room and a fully-equipped kitchen. Still on this floor, a beautiful double bedroom with a canopy bed, a bathroom with a Jacuzzi and a lounge room with a sofa where to relax. Completing this floor, a panoramic terrace with access to the garden. Another internal staircase leads to the second floor, where two double bedrooms, each with an en-suite bathroom, can be found. Completing this floor, a living room filled with books you can read whilst on vacation, another great spot where to relax. 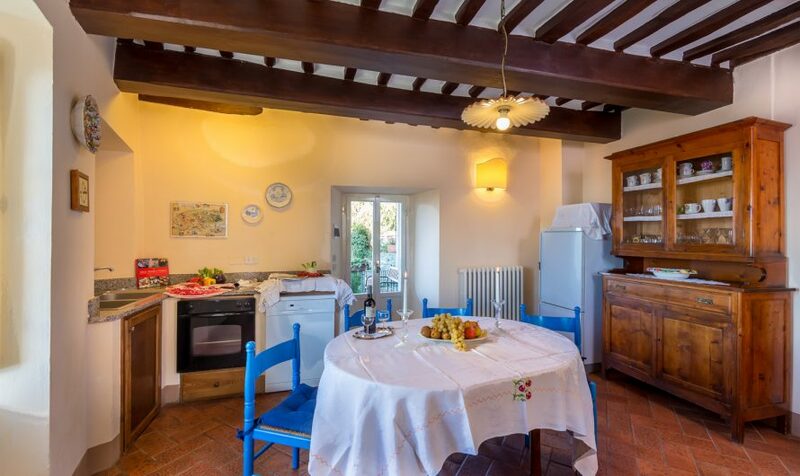 Casa Ombretta has 2 gardens, a rarity in Cortona, making this property even more unique. The front garden comes with outdoor furniture for al fresco dinners. The lush vegetation here makes the garden cooler in the summer heat. The rear garden comes with deckchairs for sunbathing but offers plenty of shade too, thanks to the large plants and trees. 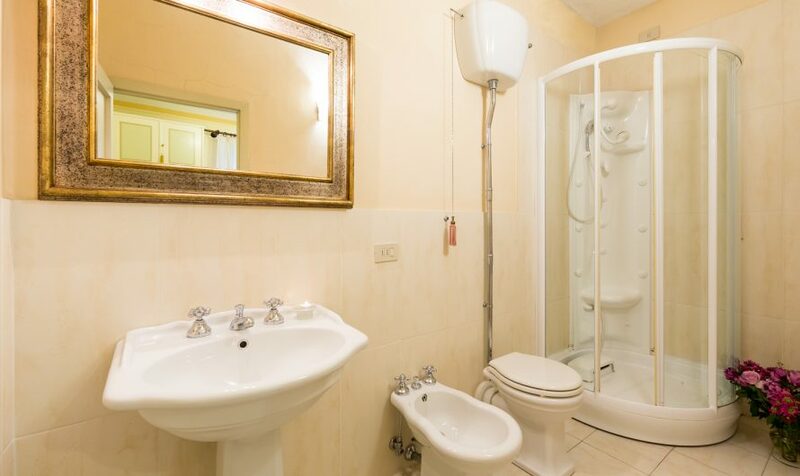 Wi-fi, private garden, heating, washing machine, dishwasher, iron, American-style coffee machine, Moka pot, oven, toaster, hairdryer, LCD TV. Cot and highchair upon request. The picturesque town of Cortona, made famous by the movie ‘Under the Tuscan Sun’ is perched on a hill overlooking the Valdichiana valley. This beautiful medieval town is rich in history and art, but also excellent restaurants, cafes and ice-cream parlors. 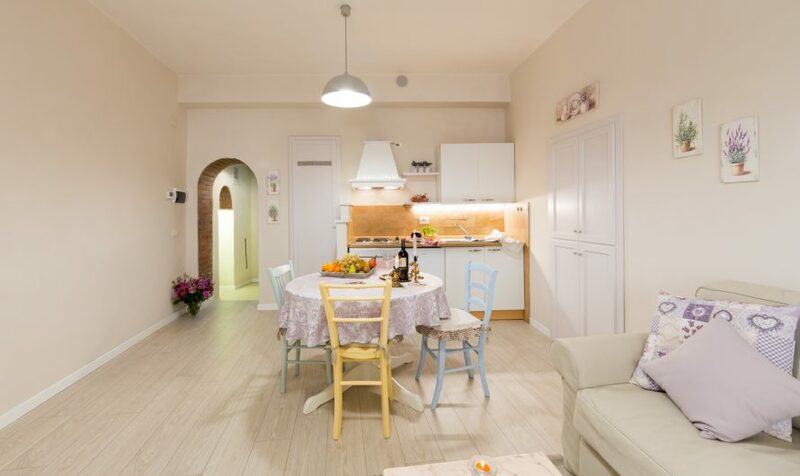 All are within walking distance from Casa Ombretta. A small supermarket is also less than 10 minutes away on foot and so are ATMs and the post office. 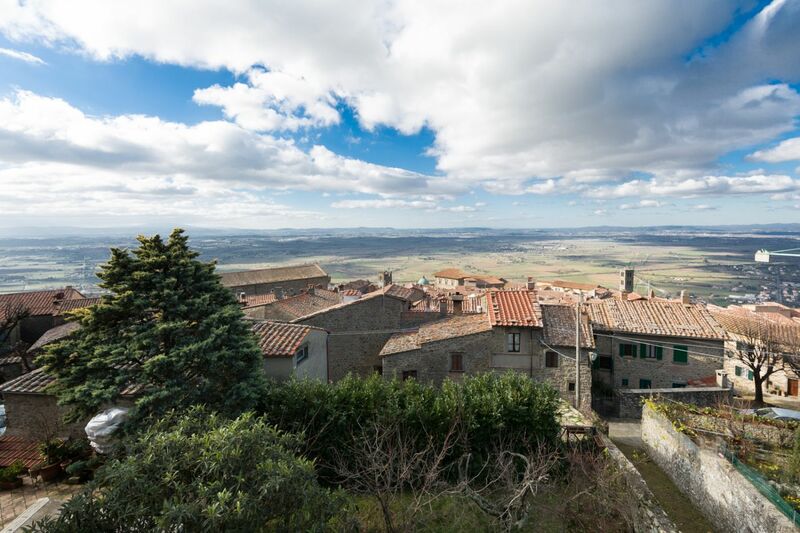 In Terontola, only 15 km from Casa Ombretta, there are a small supermarket, ATMs, petrol stations, a post office and a train station (Terontola-Cortona). Rate includes: weekly linen change, utilities, wi-fi, garden maintenance, outdoor furniture. Extra Costs: heating, if radiators are turned on.